Get ready for a cold winter! This NP clothing guide will help you choose the perfect clothing items especially made for your pet’s species. 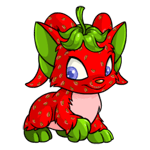 Handy prices are estimated to help you determine which is best for your neopet. This clothing catalogs the old and new trends of winter clothing, and highlights the new arrivals for this year. Happy shopping and have a fantastic Month of Celebrating! 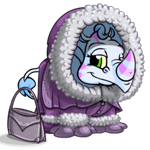 Since Chomby necks are long, the turtleneck is the best way to go for keeping warm! This bit of outdoor clothing is made of 100% Gnorbu wool to keep you insulated and cozy. 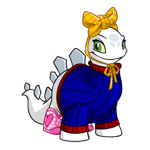 The royal blue color is very fitting for cool chomby colors, and pairing with a Yellow Stripe Chomby Bow is great for the Winter Starlight Celebration. This Warm outfit will keep you warm from your head to your tail. The Parka is especially fit for Zafaras, with holes in the hat so your ears won’t get mushed. Zafara’s rugged feet allow them to walk through the wintery ground barefoot, but snowshoes help them to not fall down into the snow! Is your Jubjub tired of getting a cold face when he walks around Happy Valley? 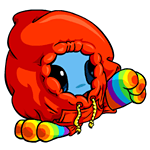 With this thick hoodie, your Jubjub can stay entirely cozy and warm! Great for indoor and outdoor wear, whether you're sitting inside while drinking Borovan and making popcorn garlands or jumping into the snow and making jubjub snow angels. Add Rainbow Jubjub Socks to this outfit to keep your Jubjub warm with style. Made of babaa and vacana wool, this soft Gnorbu Snow set will surely make you want to become one with the snow. This set is perfect for nearly every gnorbu color with its neutral baseline appearance, expressing the vibrant color of your gnorbu. The cute earmuffs are perfect for warming your chilly ears. This set is great for exploring the top of Terror Mountain! Its continuous snow during the day is maintained by Taelia, but that doesn’t mean it’s not freezing up there. Make your Tonu extra protected by the blizzards while still being fab as ever. The hood of the coat is big enough to cover your tonu’s entire mane while the rough vacana wool helps keep in the warmth. If your Shoyru is brave enough to fly through the mountains of Terror Mountain, then this set is perfect for you! This coat has various pockets for holding the Shoyru’s favorite toys and belongings, as well as essential adventure gear. Don’t forget to wear the scarf to complete the outfit! It’s the season to be jolly, and what can be jollier than having variety? Choose between these two wonderful sets for your Bruce, if they feel lovely or stylish that day. 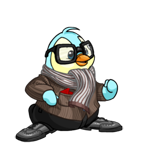 Bruces do not seem to mind sliding around in the cold weather, so their warm and stylish outfits are a dedication for fashion! 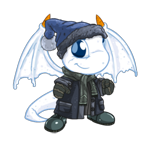 The Lovely Brice set is good for indoor wear and the fluffy Lovely Bruce Cap with pompom helps your neopet stay adorable even in the cold. Pairing with a basket of flowers is a nice reminder that the snowy days won’t last forever. Alternatively, the Stylish Bruce set is perfect for commuting to work through Bruce’s natural home of Happy Valley and ice skating with extra-polished shoes. The scarf, as well as glasses, go with just about anything, so they will last all year long! The pop of red stands out in the snowy atmosphere, which makes this a popular item for Happy Valley goers. 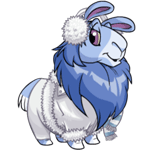 Straight from this year’s clothing line, this extra elegant outfit will stun the other Neopians this season! 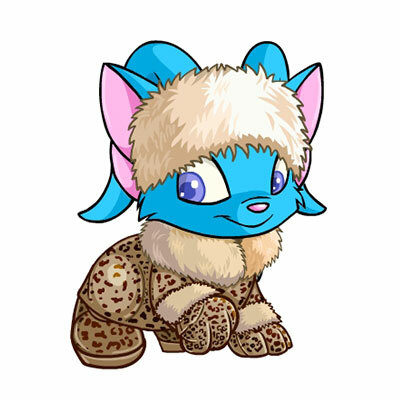 The premium faux Kougra fur pattern is all the rage in Mystery Island, but that doesn’t mean it can’t add a little flare to a warm outfit for a trip to Happy Valley! Perfect to wear for visiting the Advent Calendar and then take a walk across the street to go Christmas shopping at Merry Outfits. 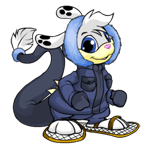 When it’s extra chilly, it’s good to layer up, and these Parkas are perfect for the brave Neopians willing to explore the Dangerous Ice Caves. Both are fluffy and packed with extra insulation while still being flattering. The Tuskaninny parka is made for cold days out at sea, with cork buttons from Krawk Island. Although if you are on a budget, the Pink Elephant Parka is perfect for your pet as it is only 3,000NP! Stand out with the baby pink color that makes your neopet feel cute as well as warm. Last but not least is the super warm and extravagant, Long Fur Coat! These coats were only given out to the Lucky Winners who scored of 40000 or greater playing Wrath of the Snowager and 700 or better playing Igloo Garage Sale, The Game during the last day of this year’s Game Master Challenge. This stylish coat is definitely a hot topic, as it keeps your entire body warm with its wind-breaking outer coat and insulated Royal Babaa wool. Its limited item status will surely raise the price as time goes on so get one while you can; it is a must have for this winter! Hope you liked my selection; these are just some of my personal favorites. You can get these items at any user shops that restock them. This also helps to recycle and help the Neopets community! Alternatively, these seasonal items are available year round at Uni Clothing shop, so check it out and update your wardrobe with fantastic NP items today!